Lara Golan is a pianist, songwriter and composer. She grew up surrounded by music due to the fact that her father, Joseph Golan, was the principal second violinist in the Chicago Symphony Orchestra and a lover of improvisation in a variety of styles. She started making up songs and short piano pieces at a young age and soon realized that music was her passion. She received her Masters degree in music composition from Northwestern University in 1998. Her compositional work includes pieces for solo instruments, chamber works, electronic music and songs. She has written music for a wide variety of projects including educational computer games, online marketing/commercials, a documentary film, a documentary series, the opening credit music for two television show pilots, various forms of theater and a feature length film. Her very first theatrical score (Dr. Egg and the Man With No Ear, created by Redmoon Theater) was nominated for a Jeff Award for Best Original Incidental Music in 2009. In December of 2017, her music was featured in three evening performances of The Distant Flight of Birds, a collaboration with director/puppeteer/artist Sarah Bendix, featuring the lyrics of Susan Payne-O’Brien and the vocal talents of five operatic singers from Forte Chicago and based on the Grimm’s fairy tale “The Seven Ravens.” My Daughter Was Stolen, her first feature film-scoring gig, premiered on the Lifetime Movie Network on March 9, 2018. Lara’s natural inclinations lead her to write music that is somewhat dark and playful, but she is confident composing in almost any style and can tailor a composition to fit any kind of project. She enjoys working off a visual component or storyline and thrives on collaboration. 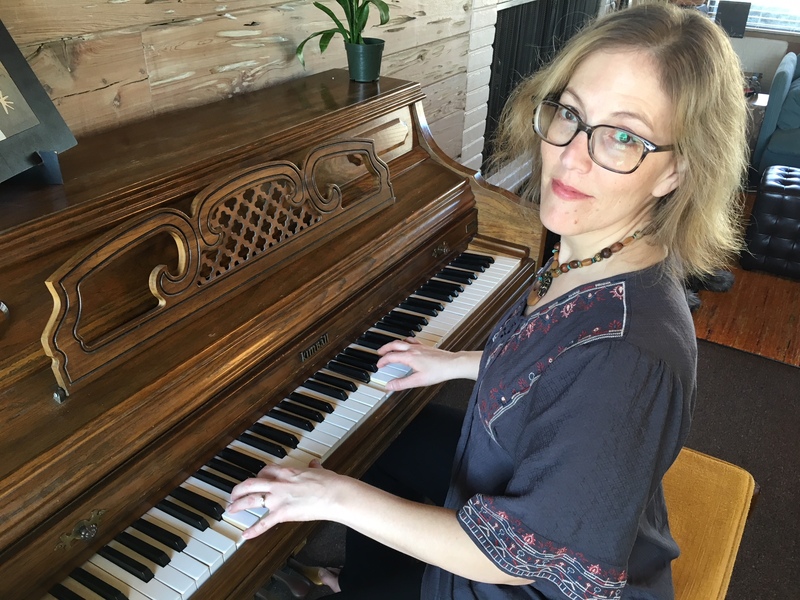 In addition to her work as a composer, Lara worked as a Musician-in-Residence at Rush Children’s Hospital via the non-profit arts education organization, Snow City Arts Foundation from 2005 – 2011. Snow City Arts provides arts education to hospitalized children and Lara spent time creating music projects with inpatients between the ages of 2 and 22. In 2007, her project Up, Up and Away! (in which she had children create their own superhero and write/record a theme song) was featured on Chicago Public Radio. From 2005-2008, she was in world music band Radio Mango, writing songs, playing keyboards and singing harmonies. She also teaches piano lessons to students of all ages. Lara lives in the Chicago area with her husband, young son and ridiculously large dog.